Family man Liam first started in hospitality by working as a kitchen porter before becoming a sous chef at Harbour View for four years. Here he learnt the tricks of the trade, realising that when it comes to being a chef there really isn’t a right or wrong answer – loving the flexibility to think creatively and constantly invent. Liam found he was learning something exciting and new every day and loved working with inspirational head chefs who allowed him freedom in his dishes. 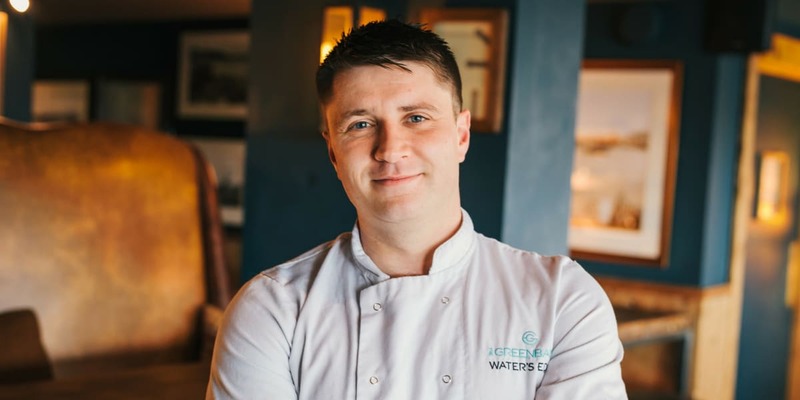 Liam has been Head Chef for The Working Boat for over a year now and knowing our Head Chef of the Water’s Edge Restaurant Bobby Southworth for fifteen years, our kitchen team has become a force to be reckoned with. I love spending time with my family, so hitting the beach, going swimming or playing football is great when the sun comes out. What’s your go-to activity in the winter? As there are less opportunities in the winter to spend it outside, my favourite thing to do is play snooker at my local and have a few beers with the lads. The choices of restaurants in Cornwall are second to none, with the locally sourced food and freshly caught fish having little to no competition anywhere else in the UK. I also enjoy the unhurried lifestyle Cornwall has. Everything is calmer, almost as if we’re in slow motion – with no rush or urgency! It really is a relaxing place. View our full pub menu here or call us on 01326 314283 if you have any questions. We hope to see you soon!